OOTOYA, a Japanese restaurant chain in Central Restaurant Group (CRG), seeks to spur sales in late 2017 by unveiling its Grand Menu. While boasting a greater variety, this upgraded menu still places a strong emphasis on OOTOYA’s long-famous great taste, fresh & clean ingredients, and neat cooking. 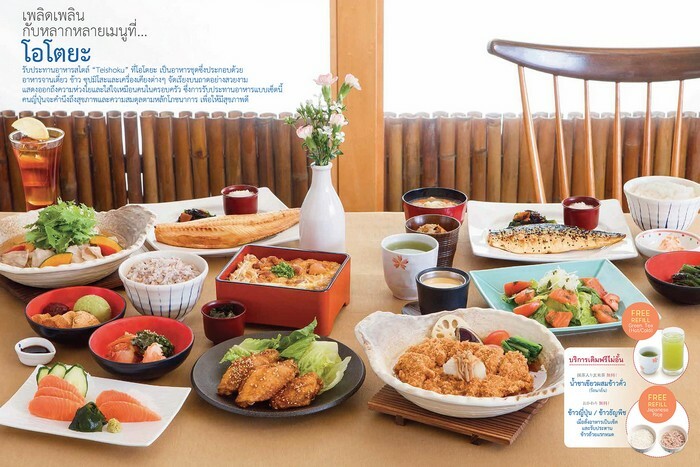 OOTOYA reveals that its investment budget now grows to more than Bt100million as it opens more branches and constantly renovate old outlets. Marketing activities are also its highlights, as the brand aims at reaching out to target groups for example by the increased use of online media. 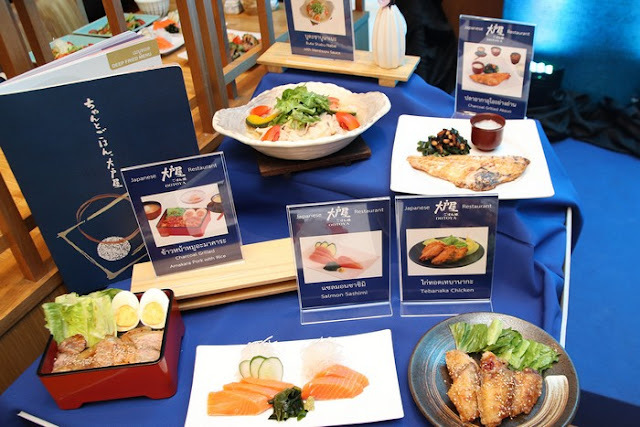 OOTOYA expects its sales to grow by five per cent this year. 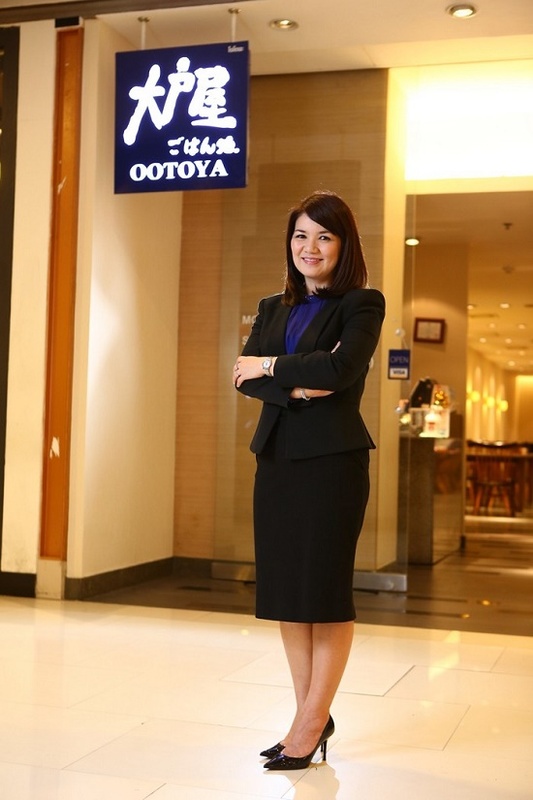 Mrs. Ampaipan Chirathivat, President – OOTOYA at CRG International Foods Company Limited, says OOTOYA Japanese restaurants have operated in Thailand for 12 years now. On the overall, Japanese-restaurant market in the country is worth about Bt22billion. 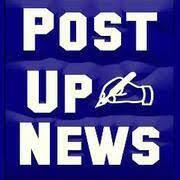 Enjoying continued growth, the market also looks set to grow further by 15 per cent annually. 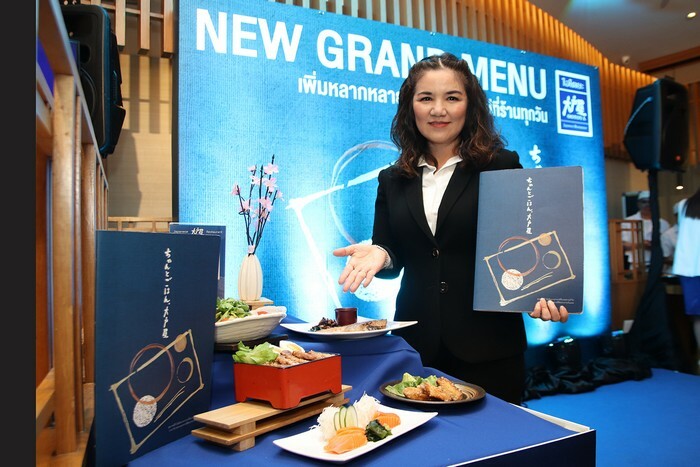 As Japanese restaurants prove hugely popular among Thais, many more entrepreneurs have jumped into the sector offering more alternatives to consumers. Selection of premium ingredients for new items in the menu, giving a greater variety for customers to taste and enjoy. New, interesting ingredients are added to achieve competitive edges. Serious attention to the taste and quality of every dish to ensure each exudes the original Japanese feel. Ingredients are carefully selected. Every dish is freshly cooked. As a plus, OOTOYA guarantees faster delivery of services. Customers will get the food they have ordered within 15 minutes as OOTOYA seeks to serve them healthy, delicious meals with the best of services. This is the commitment that OOTOYA has made to satisfy every customer. Marketing communications that focus on target groups, for example by leveraging more of online media, designing menu for people in various age groups, increasing online distribution channels, and expanding delivery services. Buta Shabu Nabe with Mentsuyu Sauce – Soup of sliced blade sirloin, Chinese cabbage, pumpkin, tomato, and Enokitake. Topped with Mizuna, it is served with Katsuo slices and Mentsuyu Sauce. Charcoal Grilled Akauo – Akauo fish is marinated with OOTOYA’s Shio Koji Mirin sauce and side dishes namely grated radish, Hijikini and Wakame. Charcoal Grilled Chicken with Shio Negi Sauce – Served on a hot stone plate, it features charcoal grilled chicken, Japanese bunching onion sauce, salty sesame oil and potato salads. Salmon Sashimi – It presents salmon imported from Hokkaido. 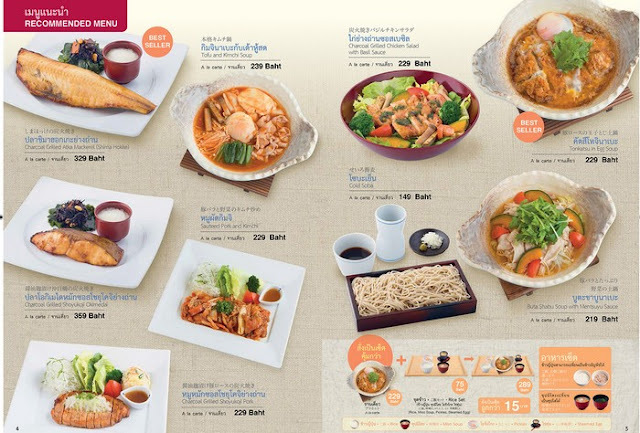 To celebrate the launch of the Grand Menu, OOTOYA now offers very special promotions too. First Benefit: Buy 1 get 1 Free for new items namely Sauteed Pork with karamiso Sauce, Buta Shabu Nabe, Salmon Salad, Salmon Sashimi, and Maguro Sashimi. But only 100 free dishes will be served each day on the first-come, first served basis at eight CPN-operated branches that are located at Central Ladprao, CentralPlaza Chaengwattana, CentralPlaza Grand Rama 9, Central Bangna, Central Rattanathibet, Central Salaya, Central WestGate and Central EastVille between 15 and 24 September 2017. Second Benefit: Get Bt200 discount coupon when paying for a meal of at least Bt1,000 at OOTOYA between 15 and 30 September 2017. Third Benefit: Get an OOTOYA reward-point card, on top of the two aforementioned benefits. Every Bt400 spent at OOTOYA will be rewarded with one point between 1 September and 31 October 2017. Every 10 points can be used to redeem a 12-per-cent discount on OOTOYA meals (till 30 November 2017).